Herbal combination to help ease joint pain and increase mobility. 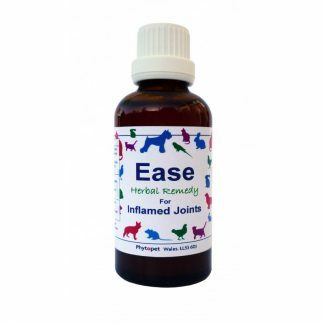 Phytopet Ease contains a combination of fast acting liquid botanical extracts to help ease joint pain associated with arthritis. 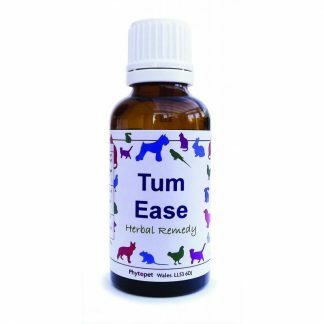 Used as a natural anti-histamine, Huang Qin also appears to exert a potent anti-inflammatory effect. This action seems to be due to the inhibiting effect Huang Qin has on the release of inflammatory leukotriens and prostaglandins. Prostaglandins and leukotriens are approximately 1000 times more inflammatory than histamine. Initial research into Scutellaria baicalensis suggests its anti-inflammatory effect is comparable to non-steroidal anti-inflammatory drugs, with none of the side effects associated with these drugs. Glucosamine Sulphate, an amino sugar which is one of the main building blocks of cartilage. Omega 3, Essential Fatty Acids (EFAs) exert a natural mild anti-inflammatory effect. They are also useful in removing toxins from the body. 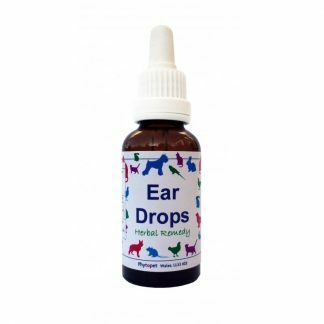 Large doses of vitamin C, 500-3000mg per day, Ester C being the preferred form.